Belts and hoses degrade over time and can crack, split, swell or burst. It is important to check them at the regular intervals recommended by your vehicle’s manufacturer to avoid a breakdown from a broken belt or hose failure. CARMAX AUTOCARE professional technicians are trained to inspect your belts and hoses to identify any warning signs or concerns. We offer radiator hoses and belt replacement services, priced competitively, so you can keep rolling with confidence. Your vehicle’s radiator hoses are responsible for transferring hot coolant from the engine to the radiator for cooling and then back to the engine again after the coolant temperature has been lowered. The hoses, together with the radiator, cooling fan(s), thermostat and related components allow the coolant to effectively move through the cooling system, regulating and displacing heat from your engine. A system is only as good as its weakest link and hoses are a vital cooling system component requiring regular service. Replacing the radiator hoses before they begin to leak can prevent an inconvenient breakdown and the potential for expensive related repairs. When cracks are visible or the hose swells or feels soft, it is a sure sign that the hoses are at the end of their life span. Often, the upper hose will deteriorate sooner than the lower hose because it is subject to greater extremes in temperature than the lower hose, but it’s a wise preventative measure to replace them both at the same time. Belts enable your vehicle rotating components, such as the alternator, water pump, and AC compressor to keep turning. Some vehicles are equipped with V-belts, an individual belt for each component and others are equipped with a serpentine belt, one large, multi-groove belt that is routed around all of your vehicle’s rotating components. Normal wear and exposure to extreme temperatures will degrade both V-Belts and serpentine belts over time. In this situation, a broken belt means a break down, so belts should be replaced before they snap. If you observe any cracks, fraying, or splitting it is time for a replacement. Our CARMAX AUTOCARE professional technicians can inspect your belts and determine if it’s time for a replacement. The belt tensioner is a pulley that keeps the serpentine belt wrapped tightly around the engine’s accessory components, such as the air conditioning compressor or water pump. If the belt is not kept tight, it will not create enough resistance to turn your engine components, which could lead to an unnecessary break down. Anytime a new serpentine belt is needed, or if your belts are squealing, the tensioner and all of the pulleys should be inspected. If the tensioner is worn or damaged, it will require replacement so that the serpentine belt has proper tension to keep those important components turning. Our CARMAX AUTOCARE professional technicians will inspect your belt tensioner and determine if it’s time for a replacement. Most vehicles using an overhead cam design utilize a timing belt to drive and precisely synchronize camshaft movement, hence the name ‘timing belt’. Similar to a serpentine or v-belt, your timing belt will degrade over time and with usage. Unlike standard drive belts, wear on your timing belt is not visible because it is housed inside the engine, behind the timing cover. Time, temperature and stress cause the belt to degrade and if not replaced at the manufacturer specified interval, this component could fail without warning. When a timing belt fails, it will either ‘jump’ a tooth or two or break completely and the moving parts inside your engine no longer move in sync with one another. It doesn’t just mean an inconvenient breakdown, it could mean serious and costly engine damage. All original equipment vehicle manufacturers (OEM) provide a timing belt replacement interval. It is critical that the timing belt be replaced on or before that mileage interval. The timing belt often drives the water pump as well and in these cases, it is highly recommended that the water pump be replaced at the same time that the timing belt is serviced. Although the timing belt can be costly to replace, it is a wise investment. Being proactive and replacing this belt at the intervals recommended by your OEM will help protect your wallet from costly engine damage. Our CARMAX AUTOCARE professional technicians will work with you to help you understand when it is time for a replacement. At CARMAX AUTOCARE, we follow the manufacturers’ service guidelines for maintenance services, including belt and hose replacement. Our shops have access to factory maintenance schedules for most makes and models on the road. 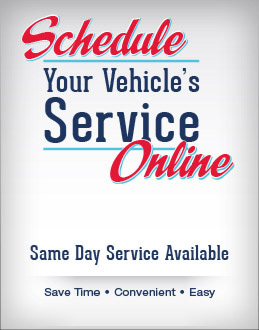 So, when you visit, ask us to provide your car’s schedule and print it out for your review. The timing belt is a toothed, reinforced belt used to drive the camshaft via a sprocket to a crankshaft. It ensures the synchronization of the engine’s camshaft, crankshaft and distributor.